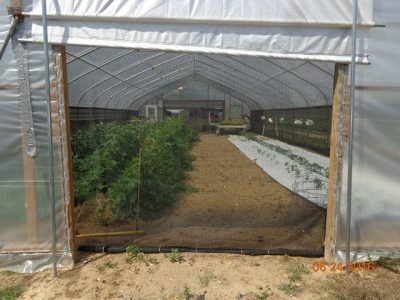 There has recently been work on using netted hoop houses and row covers to prevent insect and bird damage to crop plants. It is an interesting use of technology, but the work is also a case study in how one solution can lead to additional problems. Let me just say I am a fan of where the research is going on this, but am aware of the potential problems. What works with netting? In many cases, mesh size can prevent insects from accessing the crop. It seems to work best on larger insects. Why? 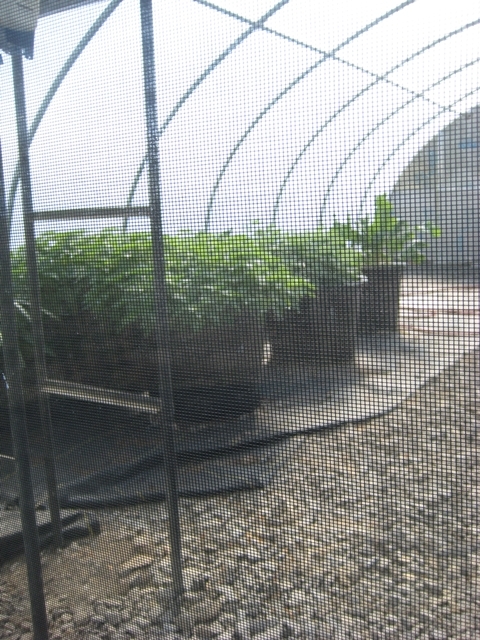 Screen netting size can reduce airflow in a hoop house, which can lead to disease problems. The larger the screen, the greater the potential airflow. Keeping out squash bugs is easier overall than keeping out whiteflies. Some growers have resorted to exhaust fans on netted houses to increase airflow, which means you need to have electricity close at hand. 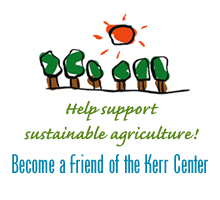 Another concern is plant pollination. Any netting can keep out pollinators as well as pests. Some growers have used purchased bumblebees for pollination. There are concerns that the shipment of bumblebees can lead to the spread of diseases. This may even be one of the issues with the decline in bumblebee numbers. The science is still not definitive on this issue, but it has been brought up. 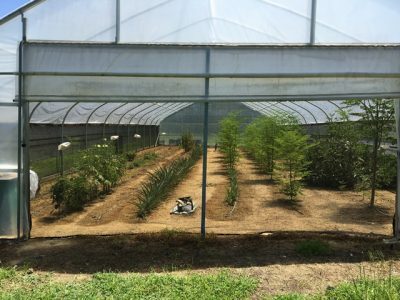 To avoid the use of purchased pollinators and still have the protection benefit of netting, some research is being conducted on opening the netted crop up to native pollinators at certain times of the day when the problem pest species is not active. This is an interesting approach, but requires careful timing and knowledge of the problem insect. Someone needs to be present to open and close the netting at the appropriate times. One critical aspect for this to work is to have a complete seal with no openings in the netting.